Kingston wrote The Woman Warrior: Memoir of a Girlhood Among Ghosts in 1976 and I read it quickly, like I was gulping down water, in the Spring of 2011. I was lucky enough to hear her speak not long after. Her talent, activism, and energy inspired me (she was born in 1940 and shows no signs of slowing down!). 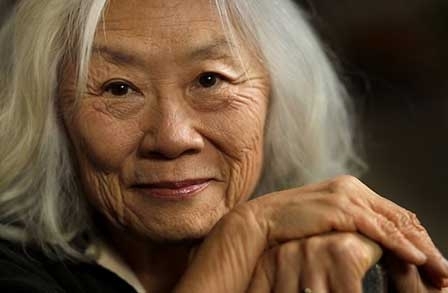 The daughter of Chinese immigrants, poet, memoirist, and fiction writer Maxine Hong Kingston was born in Stockton, California, and educated at the University of California–Berkeley. On the talented and resilient John Mulligan. You probably know Robert Louis Stevenson as the author of Treasure Island and Dr. Jekyll and Mr. Hyde, but did you know he was also a poet?